Telling the story of the RAF’s most famous squadron began with me strapped in the navigator’s seat of a Tornado GR4 fighter bomber on the runway of RAF Marham in Norfolk. We took off and flew to Wales. It took 12 minutes. There we swooped from 20,000 feet down to 250 and shot through the valleys of the Brecon Beacons close enough to see people in their conservatories and the faces of walkers on the high ridges as we shot up and over them. Exhilarating, other-worldly―two hours flashed by in five minutes as the afterburners surged. My stomach landed some days later. 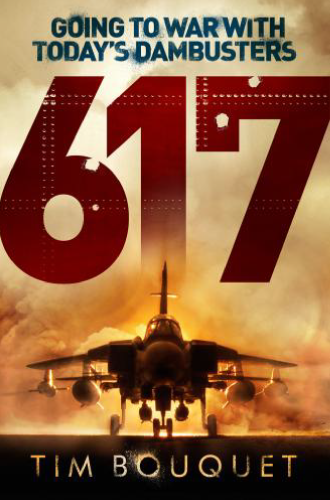 Seven months on I joined 617 Squadron in Kandahar. Their Dambuster forebears etched their place in history in 1943 defying the odds to destroy German dams on the Ruhr with revolutionary bouncing bombs. Today’s Dambusters faced different but equally daunting challenges; impossible to imagine without flying backseat in a Tornado and living alongside them in Afghanistan.